It started as a backless, furry shoe, designed by Gucci, and has since turned into a Fall fashion craze! Classic, backless, metallic, with buckle detailing and even heeled styles...you cannot deny that Fall '16 has been subject to the modern loafer revival, and I am in no way complaining! 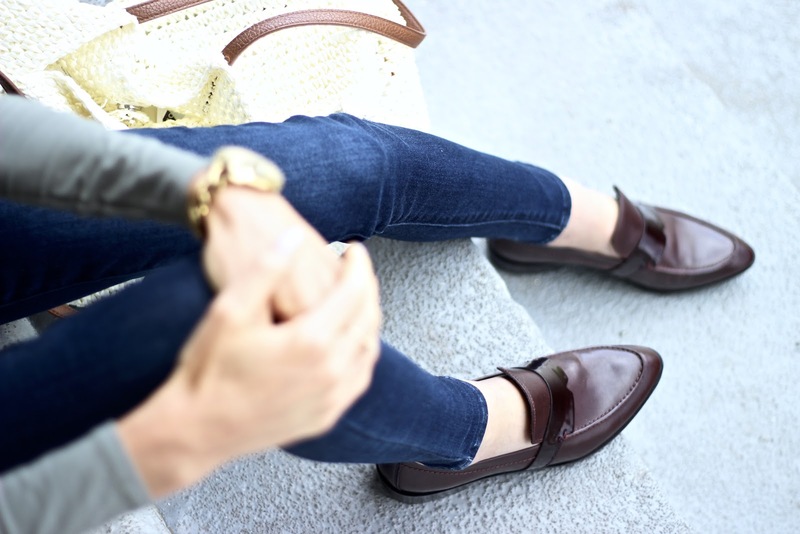 The loafer is such a masculine diversion from the dainty lace-ups and ballerina style ribbon tie-ups we've been seeing. These Geox loafers are called "Lover" and for good reason. Could they have hit the nail on the head any more perfectly? I love that Geox provides real, everyday comfort combined with luxurious, fashionable style. These burgundy beauties are made with the smoothest leather, they have a breathable and waterproof patent sole which is perfect for the dewy, hazy Fall days ahead, and I love that the pointed toe adds a touch of femininity. This outfit may seem simple, but it's full of fun detailing. The straps on the back of the shirt, the pop of pattern with the leopard belt, and the added Fedora really elevate the simplistic nature of the basic jean/shirt combo. It's casual and androgynous, and I'm loving it. What is your take on the loafer? My thoughts are clearly all for it! Jeans, skirts, dresses... all hail the loafer! These guys are absolutely amazing, and you'd be crazy to party anywhere else in the city. I would highly recommend this place to anyone. It's elegant, affordable, and delicious. You really get bang for your buck there! And the service at LA venues is top-notch.